I had a fantastic time keynoting and attending OER15. You can watch the talk below, along with those from Cable Green, Sheila McNeil, and Martin Weller – who were all excellent. 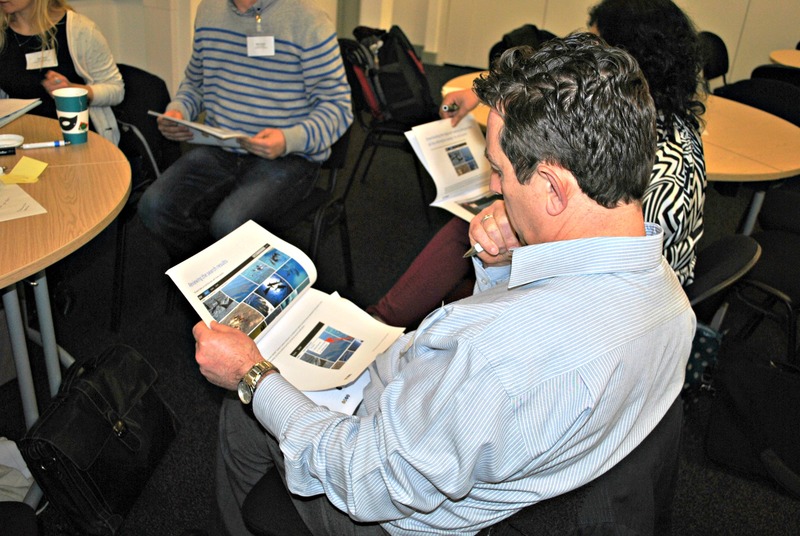 The OER Schools Conference – the first event of it’s kind in the UK – took place in Leicester on 29 January 2015, organised by Leicester City Council in partnership with De Montfort University. 92 attendees from 48 primary, secondary and specialist provision schools took part in the day, as well as representatives from five UK universities. Leicester City Council’s recently released OER guidance and resources for schools, produced by Dr Bjoern Hassler, Helen Neo (University of Cambridge), and Josie Fraser (Leicester City Council), developed with the input of Leicester school staff, through review and practical trialling. The permission given to employees of the 84 community and voluntary controlled schools in Leicester by the council to openly licence the educational resources they create in the line of their work. The council is a global leader with respect to it’s work in this area, which is itself shared under open licence so that other educators, schools, local and national governments can benefit from and build upon the resources. Find out more about OER school policy and the permission Leicester City Council has given to school employees to openly licence their educational resources here, and download model documents to help your school or local authority implement this approach. Find out what school staff told us about the day – what were the key issues, challenges and actions they identified? The resources were produced by Dr Bjoern Hassler, Helen Neo (University of Cambridge) , and Josie Fraser (Leicester City Council), and have also benefited from the input of school staff, through review and practical trailing. The majority of school staff use and create digital resources to support their learners and schools – including presentations, lesson plans, and study guides. 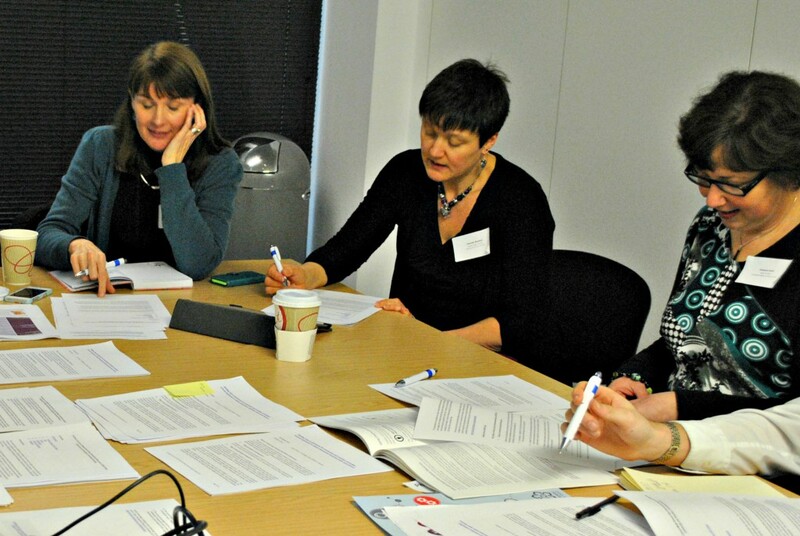 However, the DigiLit Leicester project identified a gap in support and information for teachers relating to the use and creation of Open Educational Resources (OER). An understanding of OER and open licencing will support schools and staff in sharing and accessing resources, and in developing staff and learner digital literacy skills and knowledge. OER are learning materials (including presentations, revision guides, lesson plans) that have been released under an open licence, so that anyone can use, share and build on them for free. Many openly licensed resources are available for schools to use and develop. At a time when schools increasingly work with, and rely on, digital and web based materials, understanding how copyright works, and making the most of available resources, is essential for staff and schools. Creating OER allows schools to connect and collaborate with others through sharing work. Sharing can also help promote the great work that school staff and schools are doing. Bjoern Hassler (@bjoernhassler on Twitter) focuses on pedagogy, Open Educational Resources (OER) and digital technology. He produced the OER Guidance and resources for schools, along with Helen Neo and Josie Fraser. Bjoern provided the conference with an introduction to the guidance and resources on the opening panel, and led two workshops for school staff looking at practical ways to use the resources to support teaching practice. 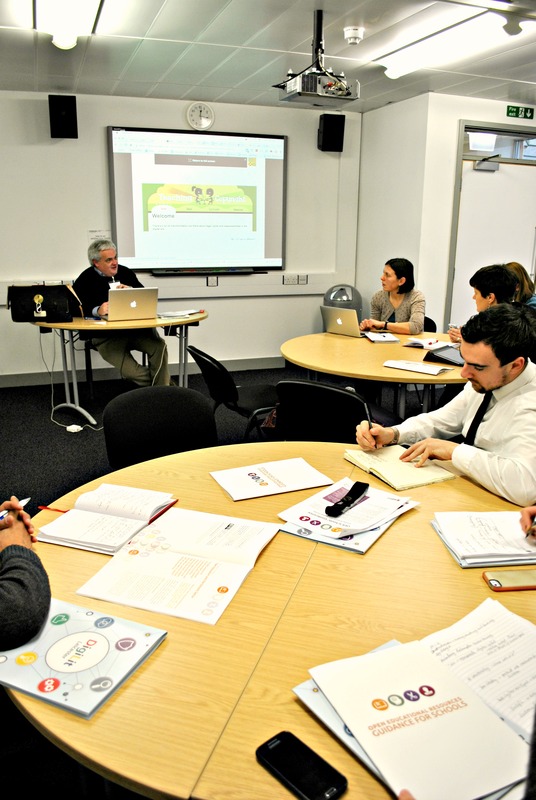 He also led the JISC-funded ORBIT project, which produced an Open Resource Bank on Interactive Teaching for teacher education, focusing on innovative digital technology use in mathematics and science education. He is co-leading the OER4Schools project, introducing interactive teaching and digital technologies in Zambian primary schools. Marieke Guy (@mariekeguy on Twitter) is a project co-ordinator at Open Knowledge, a global not-for-profit organisation that wants to open up knowledge around the world and see it used and useful. Marieke spoke on the opening panel about the international context of open education, and also led the conference closing session with Richard Hall. Over the last two years she has been exploring open data in education and its relationship with open education as part of the LinkedUp Project. Her current projects are PASTEUR4OA , developing and/or reinforcing open access strategies and policies across Europe, and Europeana Space, creating new opportunities for employment and economic growth within the creative industries sector based on Europe’s rich digital cultural resources. Marieke has been working with online information for over 16 years and was previously employed by UKOLN, a centre of expertise in digital information management at the University of Bath. Marieke co-ordinates the Open Education Working Group. 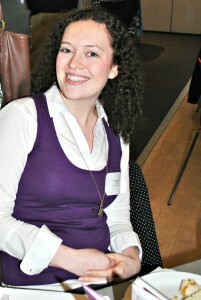 Josie Fraser (@josiefraser on Twitter) is a UK-based Social and Educational Technologist. Since June 2010, she has lead on technology for Leicester City Council’s multi-million pound Building Schools for the Future (BSF) Programme, one of the most accelerated build programmes in the UK. She is also responsible for setting, promoting and delivering on a city wide agenda for educational transformation in relation to the use of technology within schools. She developed and leads on the DigiLit Leicester staff development project, run in partnership with De Montfort University and the 23 BSF schools. The project achieved recognition as one of five global winners of the Reclaim Open Learning innovation competition, organised by the MacArthur Foundation, The Digital Media and Learning Hub, and MIT Media Lab. As part of this work, she has lead on the OER Schools project. As a panellist, Josie talked about why Leicester City Council has provided permission for school employees to openly licence their work, and the benefits for educators and schools in engaging with open licencing. 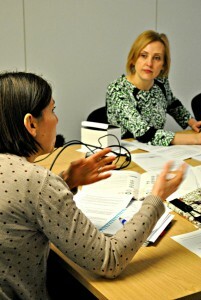 She also ran two workshops, focusing on school policy and practice in relation to OER. Miles Berry (@mberry on Twitter) is principal lecturer and the subject leader for Computing Education at the University of Roehampton. He teaches initial teacher education courses, and his principal research focus is the role of online communities in the professional formation and development of teachers. Miles was part of the drafting groups for computing in the 2014 national curriculum. Miles spoke on the opening panel about the importance of OER and open licencing in relation to the primary and secondary computing curriculum, and ran two workshops, one for primary practitioners and one for secondary level staff. Until 2009, Miles was head of Alton Convent Prep. In his former post as deputy head of St Ives School, Haslemere, he pioneered the use of Moodle and Elgg in primary education. His work on implementing Moodle was documented as the dissertation for Leicester University’s MBA in Educational Management, and won the 2006 Becta ICT in Practice Award for primary teaching. His other professional interests include knowledge management in education, use of open source software and principles in schools, provision for the gifted and talented and independent learning. City school leaders who were unable to attend the whole day were encouraged to register for the opening briefing session which provided them with information to take their schools forward in relation to copyright and open licensing. The session covered key legal and practical issues for schools – including copyright and open licensing, international approaches, and employment and policy. Introducing OER – this hands on session was designed to get staff started with finding, using and creating open educational resources. Attendees found out how to tap in to a wealth of free openly licensed resources, and how OER can help staff and schools connect to local and global communities. School policy workshop – This session took school leaders through the process of creating a school OER policy, to support staff development, classroom practice and resource sharing. Computing curriculum workshop – This workshop looked at what computing staff need to know about open licensing, and what their students need to know. Two workshops were held – one for primary, and one for secondary schools, and looked at how the OER guidance and materials can be practically incorporated into lessons to support Key Stage 1,2,3 and 4. Creating accessible resources – all staff and schools have a responsibility to consider the basic accessibility of electronic resources – whether these are only shared within the school community, or more openly available. This session introduced staff to the basic accessibility issues all schools need to be aware of when creating digital resources. The majority of school staff use and create digital resources to support their learners and schools – including presentations, lesson plans, and study guides. However, the DigiLit Leicester project identified a gap in support and information for teachers relating to the use and creation of open educational resources (OER). An understanding of OER and open licensing will support schools and staff in sharing and accessing resources, and in developing staff and learner digital literacy skills and knowledge. The opening briefing session provided school leaders with the information to take their schools forward in relation to copyright and open licensing. The session covered key legal and practical issues for schools – including copyright and open licensing, international approaches, and employment and policy. Richard Hall chaired the panel and introduced the OER Schools Conference. Richard’s introduction highlighted the global importance of the DigiLit Leicester project, a collaboration between Leicester City Council’s Building Schools for the Future Programme, De Montfort University and 23 of the city’s secondary and SEN schools. 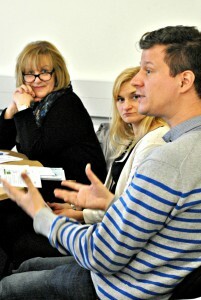 The project focuses on supporting secondary school teaching and teaching support staff in developing their digital literacy knowledge, skills and practice, and identified that school staff and communities would benefit from support in relation to copyright education, specifically with regard to open licensing and open educational resources. The council’s open educational resources (OER) schools work is designed to address this. “Practice changes and policy has to play catch up”. Bjoern introduces the OER Schools Guidance, explaining it’s designed to underpin existing practice and support schools in using, creating and sharing digital resources. 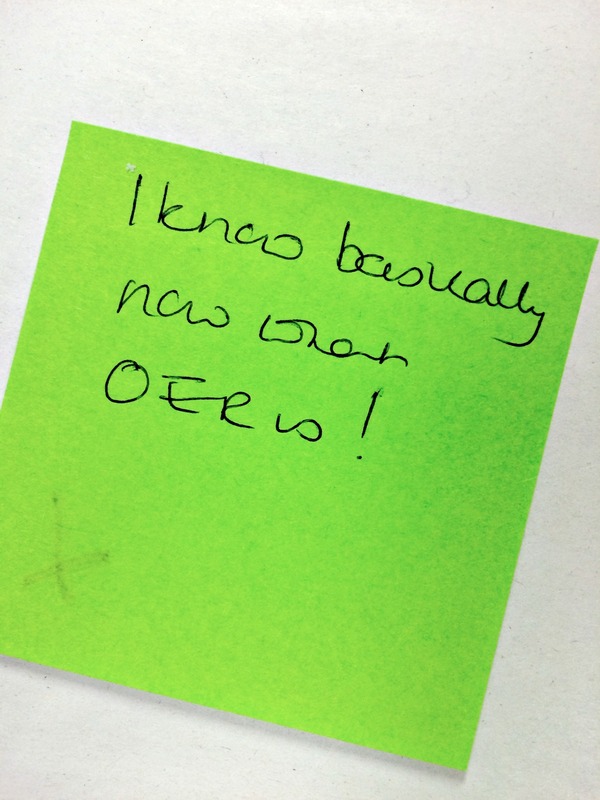 OER aren’t exclusive to Leicester, or something that the project team has made up! He talks about the importance of attribution and giving credit where credit is due, and the ease of finding and using OER. Marieke Guy, from Open Knowledge, talks about the international context of open education and OER. She co-ordinates the Open Education Working Group and is involved in a range of open knowledge projects, including work around open access, education data, and work with galleries, libraries and museums. Marieke talks about the global open education community : “anyone can be an open practitioner, it involves people from all over the world, and we are really keen to involve as many people as possible”. Open education includes a wide range of areas (including policy, resources, licences, accreditation and practice) with initiatives and activities taking place worldwide. Josie talks about how the permission provided by Leicester City Council to school staff is designed to recognise the current legal framework relating to intellectual property rights, and enhance the position of school employees in relation to this. Staff rights in relation to the work produced in the line of work are by default very limited. Josie talks about the benefits for school staff of understanding and engaging with open licensing and open educational resources (OER). Supporting knowledge about OER is a positive way to extend staff understanding of intellectual property and copyright issues in relation to professional practice and the terms of their employment. By providing the permission, the council is focusing on the promotion of OER as a constructive conduit for school communities to take a fresh look at how digital resources are used, created and shared. Josie poses key questions for schools. 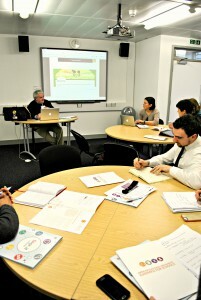 Miles was instrumental in the development of the new English national curriculum computing programmes of study. In this talk he outlines the relevance of open licencing to the new computing curriculum at Key Stage 1, 2, 3 and 4. Miles discusses how knowledge of copyright, and open licencing in particular, links to and can support learners to “use technology respectfully” (KS1); “be discerning in evaluating digital content”; “recognise acceptable/unacceptable behaviour” (KS2); “create, reuse, revise and repurpose digital artefacts”; “use technology respectfully and responsibly” (KS3); and “develop their capability, creativity and knowledge in digital media” (KS4). Many thanks to Leon Cych for filming and editing. Do staff in your school know about open licensing? Are all staff in your school aware of the OER permission Leicester City Council has given? What existing or new resources should/could staff in your school be sharing? 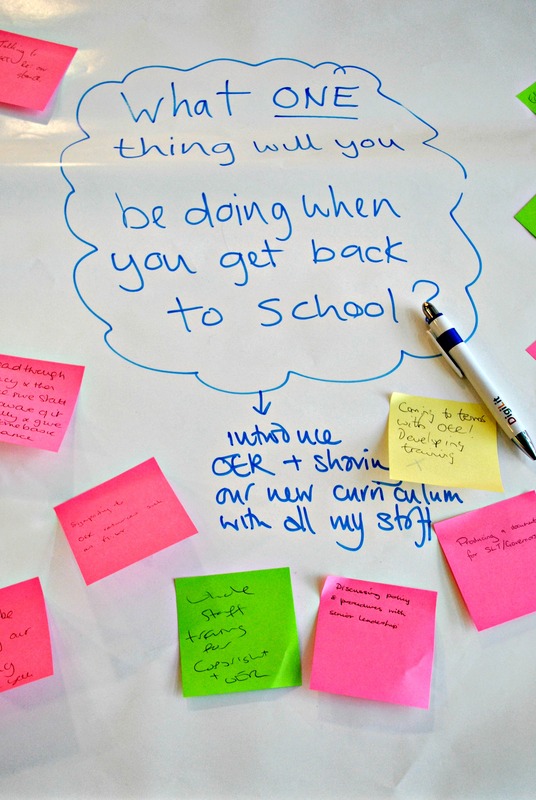 How can we support school staff to share work openly? Josie ran two workshops designed to support staff in thinking through the process of creating and implementing a school OER policy. She stressed that an OER policy should be linked to everyday school practice, supporting staff to share their resources openly and benefit from using OER other people have shared. The workshops went through the model policies which have been provided to schools to help frame discussion and decision making: OER School Model Policy – Community and VC (PDF) OER School Model Policy – VA, Foundation and Academy (PDF) Editable versions of these resources are also available to download from the OER Schools Resources page (under OER Permission and Policies – zip file). A staff member applies to you to because they have accepted a commercial offer to sell materials they have developed for their class. How do you respond? A staff member has created some excellent learning materials. You suggest they openly licence and share their resources more widely. The staff member refuses point blank. Why do you think they might not want to share their resources? As Head of Department, you are looking to embed open sharing of educational resources in order to support professional development and collaboration. What key practices would you implement to support staff in sharing their resources? Schools and school staff have a great culture of sharing, most of which is informal. A fraction of what currently gets shared by schools is openly licensed. Open Licences build on the existing legal copyright framework to provide clear permissions for flexible uses of work – an open licence provides an opportunity to clearly signal how the work can be copied, shared and developed, and who should be given credit for the resource. Online and digital resources are routinely made use of and created in all our schools. This increased use and creation of digital and web-based resources means that understanding the copyright rules and permissions that relate to the use of digital and online teaching and learning materials is very important. Digital resources are protected by copyright in the same way as other resources. Looking at OER in relation to schools policies and practices can promote whole school awareness and discussion of copyright, ownership, and accreditation – all important areas for staff to be modelling good practice for learners. Leicester City Council wants to support schools in promoting and sharing the great work that they are producing. Openly sharing high quality educational resources helps other educators and learners benefit from, and build upon the work staff are doing. The council is committed to public value – to deriving all possible benefit from publicly funded work. We want to support schools and school staff in increasing access, fostering collaboration and ensuring value for money. Without knowledge of how to find and use OER, staff are likely to spend unnecessary time creating original resources when they could be adopting or adapting existing works. By using OER, learners and educators can benefit from the care and expertise that has gone into producing resources, and energy can be put into developing work to better suit learners’ and school’s needs, rather than starting from scratch. The creation and use of openly licensed resources can promote the development of connections and collaboration and the sharing of expertise across professional communities. We asked conference attendees to feedback on three questions: their key take away, a follow-up action, and challenges to embedding the use of open licences across their schools. What is your key take away from today? We asked staff members to tell us what they considered to be the most important thing they found out about, or were prompted to think about. 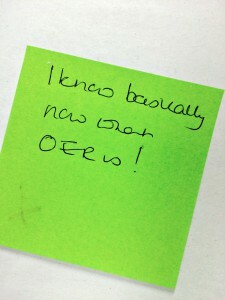 A staff member told us “I know basically now what OER is!” This was great to hear. The guidance and the conference are starting points on our journey, as individual schools and as a city, to having a schools workforce that are confident and conscientious about copyright and open educational resources and able to model great practice through their work. Embedding OER into everyday practice represents a big cultural change, but one that’s essential for educational professionals who daily use and create electronic resources. One of the key aims of the conference was to introduce open licensing and OER to schools – since they can’t take advantage of the wealth of opportunities they represent without knowing about them! The conference let us talk to staff directly about the OER schools guidance resources. The majority of staff feedback on key issues related to copyright knowledge, copyright awareness, how to create OER, and the importance of attribution. Attendees flagged the importance of “increasing staff awareness of copyright and licensing”, “staff awareness of OER”, “copyright attribution” as key takeaways. Some attendees key take away was a recognition of the importance of having conversations with staff about where and how they are currently sharing material . The idea of unregulated sharing of resources prompted mild panic in some. It’s important to remember that sharing resources is really important to encourage, and that the permission is provided in order to promote resource sharing and support staff in adopting best practice in resource sharing. Other areas flagged by participants included practical information – particularly in terms of basic accessibility checks for creating materials, how to search for openly licenced materials in different mainstream sites and search engines, and information about the computing curriculum. We planned the day around workshops which provided practically focused activities with concrete outputs – so it was great to see staff validating the benefit this approach in their identified key takeaways. What do you see as your biggest challenge in embedding open licensing? We asked attendees to name the issue that they felt might hold their school back. Awareness and understanding was cited as the key issues faced by schools, and in particular, current levels of staff familiarity with copyright and licensing. Current practice which included the use of unlicensed and/or unattributed materials was felt to be indicative of this. Time and competing priorities was cited by one delegate as the key challenge. Typically, for staff in the schools workforce, this is the most common challenge listed by participants in relation to any new initiative. It was heartening that only one delegate listed this as an issue, and hopefully indicative that the general message of the conference – that work in this area builds on everyday, existing activities and supports staff in relation to baseline professional practice. Creating and using OER isn’t ‘one more thing’ that staff have to do, but a way of developing and enhancing their existing practice and sharing their excellent work. OER can actually save schools time in the longer term – staff can reuse or build on existing OER legally, giving them time to focus on the needs of their learners in the class or in personalising materials for learners. Incorporating OER into practice also supports staff in modelling and communicating good copyright practice to their learners. Attendees also asked for more support in relation to how schools many use of learner created resources – given that the student is the owner of these. with The copyright belong to the student, so schools are interested in how they can manage consent around the use and open licensing of learner created resources. What one thing will you be doing when you get back? We asked delegates to let us know if the day had prompted any actions. The majority of delegates replied to this question in terms of staff development. Ensuring staff were aware of what they could and couldn’t do with their current licences (particularly the CLA and ERA schools licences), understanding copyright, becoming better informed about open licensing, looking at whole school training for staff in relation to open licensing and OER, and raising awareness about the permission provided by Leicester City Council. Staff also planned to sign-posting and sharing the OER schools guidance across their school.